Mach 3 Speed Check with Wes Short Jr. I introduced Mach 3 Speed Training to fellow Austinite, Wes Short Jr. this week. Wes is a former PGA TOUR winner and current PGA TOUR Champions member. In 2018, Wes finished 21st on the money list. By no means am I his instructor, nor do I take any credit for his success. I just wanted to demonstrate to him my new speed training program which I am now conducting. The first step in the speed training is to perform a speed check with the driver. The average swing speed of the first five drives was 108.4 mph with the fastest being 110 mph. After the speed check we immediately perform the four step protocol with the Jet Stick. This is a picture of me with the Jet Stick. The Jet Stick is a simple tool and consists of a shaft with a ball and chain inserted in the bottom of the shaft. It is not heavy, but when you swing it correctly you hear the swish of the ball and chain whizzing through the air. The swish should be heard on the target side of the golf ball. In most circumstances when a player performs the Jet Stick protocols, there is an increase in speed within 5 minutes. Once you pick up this additional speed, you do not lose it. As you can see, on the next five drives, Wes increased his clubhead speed to an average of 111.6 mph and his high was 113 mph. After swinging the Jet Stick we used many other tools which when used on a frequent basis help develop a very athletic swing and more clubhead speed. 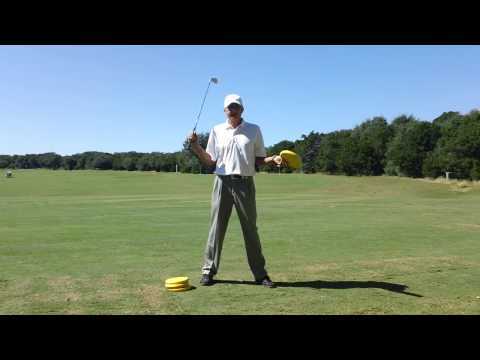 This is Wes swinging the Black Mamba which helps with loading on the backswing and exploding to the finish. In 2018, Wes was 7th on the Champions Tour in driving distance with an average of 293.4 yards. For every mile per hour you increase your speed, there is an additional 2.5-3 yards of carry. There is an earlier post with the training tools I use in the Mach 3 Speed Training program. Keep in mind speed training will help all golfers regardless of current ability. Nice Tournament for Eston Duff! Congratulations to Eston Duff for his nice finish in the STPGA Prestige Premier junior event. Eston finished third in the Boys 13-14 age division and tied for 4th overall out of 41 players. 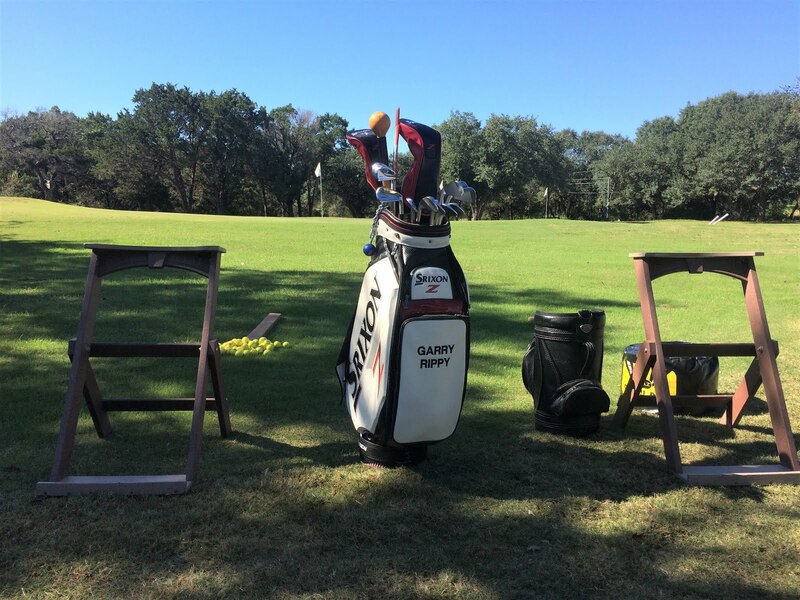 The event was hosted at the Gary Player Course in The Woodlands, TX. The Player Course is a great test of golf and requires accurate drives and laser iron play. I found this article in the Houston Chronicle and thought all would enjoy reading. I met Jackie Burke many times while serving as the head professional at the TPC at the Woodlands. 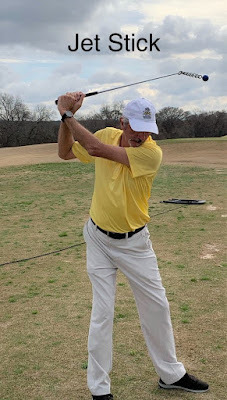 I also was fortunate to assist with a golf clinic he and Ben Crenshaw conducted for a good friend of mine, former PGA TOUR and Champions TOUR player, Terry Dill. During that clinic I witnessed everything which was mentioned about him in this article. He was witty and you were never sure what was going to come out of his mouth but he was very entertaining and informative. One of the simplest comments he made in the clinic was "we didn't have yardage books in my day on tour, we just figured what club we could hit over the green and hit one less"! Jackie Burke joins George Foreman, A.J. Foyt and Dan Pastorini in this year's Houston Sports Hall of Fame class. They will be inducted Feb. 6 at the Houston Sports Awards. It's a gorgeous Texas winter morning — just cool enough to remind you it's January; just warm enough to tempt you to head to the golf course for a leisurely 18. Jackie Burke has already made his morning rounds, checking in with the pro shop and office. Just down the hall from his office, crews are giving the clubhouse an early 2019 cleaning. Outside, the parking lot is filling up and members are heading to the first tee. Burke will turn 96 in a few weeks, but he rarely misses a morning at the office. He and Jimmy Demaret built Champions Golf Club back in the late 1950s when Jack Rabbit Road was the Road to Nowhere and the land around the iconic golf course wasn't houses, but rather cattle fields and farms. Folks thought they were crazy to build out there at that time, let alone build a golf-only club with two courses. What they were was prescient. Sixty years later, the course — like Burke — has stood the test of time. The club and the championship Cypress Creek course is but one piece of an incredible legacy Burke continues to build on daily. A Hall of Fame player. A teacher. A wise counsel. A businessman. A true keeper of the game. A member of the 2019 Class of the Houston Sports Hall of Fame. Life with Jackie is never dull. There's always an opinion or two teed up and ready to roll off his tongue. He's part philosopher, part teacher, part gruff uncle with a heart of gold and a few words that you don't want to hear, but he tosses out anyway because knows you need to hear them. He's slowed down a bit — and even mellowed a tad — but he can still remind you that you can't get lost on a straight road, toss out a one-liner or needle the keepers of the game by saying he wouldn't dare leave the flagstick in the hole when he was putting on the green. And when you ask him about being inducted into yet another Hall of Fame? Burke has influenced four generations of players at Champions — and one more generation when you consider those he taught up east in his early days. So, it's no wonder that you saw people from all ages turn out last month when Harris County–Houston Sports Authority CEO Janis Burke (no relation) and her merry band ambushed him on the Champions putting green to tell him they were honoring him — along with other class of 2019 inductees A.J. Foyt, George Foreman and Dan Pastorini — at the Houston Sports Awards February 6 at the Hilton Americas. 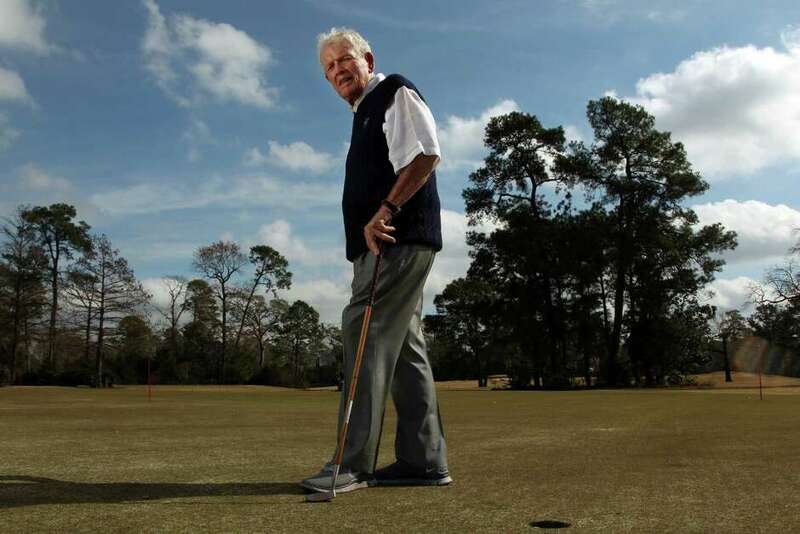 In many ways, Burke is a reflection of his father, Jack Sr., who brought the true game to Houston in the 1920s when he was the pro at River Oaks Country Club. He was — like so many of his era — a clubmaker as well as a teacher who built the original Donald Ross course at RO, hired Demaret as an assistant, and taught not just a swing, but the game. He even tried to bring major events to River Oaks, but the time wasn't right. "It was just a little early for the state of Texas,'' Burke said. By the '60s, the timing was perfect. A decade after Champions was founded, the course held the 1967 Ryder Cup. Two years later, it played host to the 1969 U.S. Open. He and Demaret had taken the best ideas they saw at clubs around the country and blended them into Champions where golf wasn't just a social gathering, but life. A decade later, the course hosted the TOUR Championship for several years then the 1993 U.S. Amateur followed by other USGA events. Next year, it will host the 2020 U.S. Women's Open — the crown of all the women's majors. So is Burke. Over the years, a long line of PGA Tour players has stopped by for a short game lesson or two. Or a little common sense. A Hall of Fame player, Burke won both the Masters and PGA in 1956 and had 19 professional wins total. Another part of Burke's legacy? That would be another prescient moment when, in 1978, he and Demaret turned visionary once again, creating the Legends of Golf tournament — an event that launched what is now a thriving Champions TOUR. Demaret passed away in 1983, but Burke continued to run the club in the same way and with the same vision. Today, 300 of the club's 800 members have single-digit handicaps and some of the best young players in the game — players like UT's Cole Hammer and Texas A&M's Walker Lee — have junior memberships so they can play against some of the best amateurs in the city. Burke grew up listening to some of the great storytellers in the game and played with a few too. Today's he's the one telling the tales and weaving them through lessons. He's slowing down and Robin is overseeing the club, but Burke is still there pushing forward. Both hope the 2020 Women's Open will be a springboard to even more major events — maybe even a U.S. Open, a PGA Championship, another Ryder Cup or a Solheim Cup. "I think because of the reputation Jack's built and the membership that's willing to do that to continue to bring championships to this club,'' Robin said. "Obviously a men's Open would be incredible. So would a PGA. Burke agreed. He thought anything was possible in 1957 and anything is still possible all these decades later. He's looking forward to taking his place in the Hall of Fame next month as well as meeting Foreman and Foyt. He knows Pastorini. But between now and then, he has a 96th birthday to celebrate. And the party? Of course, it will be at Champions with the members, who are really his extended family. And it'll be on Chicken Night — his favorite night of the week. And Burke? He'll be smiling and telling stories. And giving to a few lessons too. Melanie Hauser, a former sportswriter for the Houston Post, writes a weekly column sponsored by the Harris County-Houston Sports Authority. FACT: Faster club head speed causes longer drives!! Do you feel the need for speed in your golf swing? If so, then Mach 3 Speed Training is perfect for you. In fact, it is beneficial to all golfers! Mach 3 Speed Training will not only help you learn to swing the club faster in the correct place, it will improve your overall swing motion, stability and strength. After establishing you current club head speed, you will quickly learn your potential to develop more speed. In fact, after using the first training tool (Jet Stick) you may see an increase in speed. After the initial speed check, I will introduce all the Mach 3 training tools which will be used over the next few sessions. Below is a picture with just a few of the tools designed to improve your swing speed. I have found swinging these tools is not only fun, but so beneficial. The initial Mach 3 Speed Training will consist of ten, 30 minute sessions which can be divided into a combination of swing and speed training. Let me know when you are ready for more speed in your swing.